The battle that shook the foundations of the ninja world comes to an explosive conclusion as the reunited Team 7 of Naruto, Sasuke and Sakura manage to deal the final blow against Kaguya! With the Infinite Tsukuyomi on hold, it’s time to settle a grudge that’s been brewing since childhood as Naruto faces his best friend and rival Sasuke in ferocious combat! 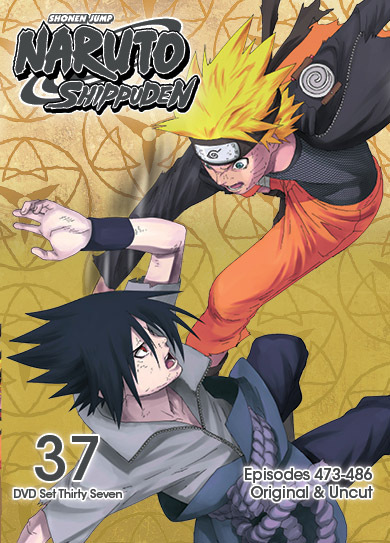 Naruto Shippuden Set 37 contains episodes 473-486. Special Features include: Boruto Cast Interview, Storyboards, Clean Opening, Clean Endings and English Credits.